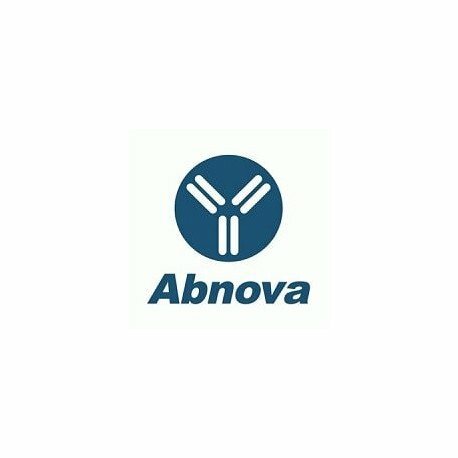 Product description: Mouse monoclonal antibody raised against a partial recombinant ACTN1. Immunogen: ACTN1 (NP_001093, 543 a.a. ~ 639 a.a) partial recombinant protein with GST tag. MW of the GST tag alone is 26 KDa. Quality control testing picture note: Western Blot detection against Immunogen (36.41 KDa) . Application image note: Western Blot analysis of ACTN1 expression in transfected 293T cell line by ACTN1 monoclonal antibody (M01), clone 3F1. Lane 1: ACTN1 transfected lysate(103.1 KDa). Publications: Rab13 Small G Protein and Junctional Rab13-binding Protein (JRAB) Orchestrate Actin Cytoskeletal Organization during Epithelial Junctional Development.Sakane A, Abdallah AA, Nakano K, Honda K, Ikeda W, Nishikawa Y, Matsumoto M, Matsushita N, Kitamura T, Sasaki T.
J Biol Chem. 2012 Dec 14;287(51):42455-68. doi: 10.1074/jbc.M112.383653. Epub 2012 Oct 24.